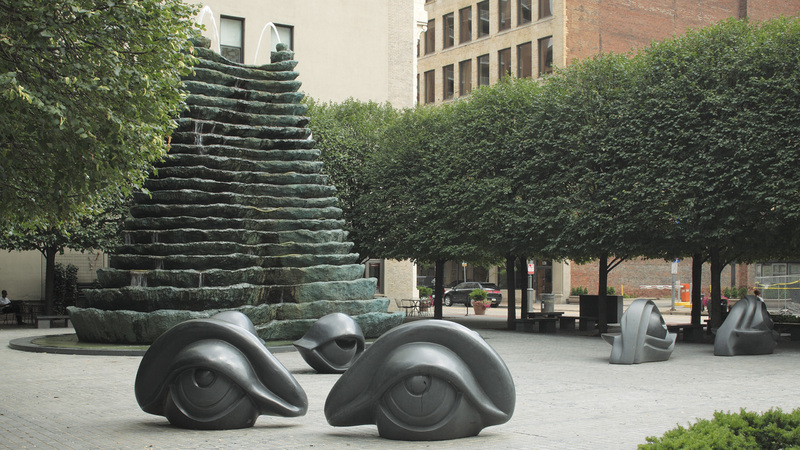 Born in Boston in 1912, Kiley apprenticed with Warren H. Manning for four years before entering the landscape architecture program at Harvard in 1936. While at Harvard, Kiley and classmates Garrett Eckbo and James Rose together explored modernist design. Kiley led in the design innovations, leaving the polemics to Rose and Eckbo. Their joint efforts can be read in three articles published in Architectural Record in 1939 and 1940. Kiley left Harvard in 1938 without graduating. In 1947, he and Eero Saarinen won the Jefferson National Expansion Memorial Competition, known as the St. Louis Arch; in 1955, again with Saarinen, he designed the Miller garden in Columbus, Indiana. Kiley’s work displays both the monumental clarity of French Baroque gardens and the spatial sensibilities of early post-war American architecture. 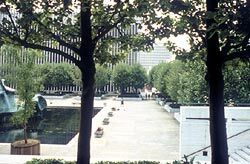 His use of hedges and walls was influenced by the work of Modernist architect Ludwig Mies van der Rohe, and his grids of trees owe more to the columnar grid of contemporary architecture than to early designers such as Le Nôtre. Unlike many of his contemporaries, Kiley never wrote nor taught. 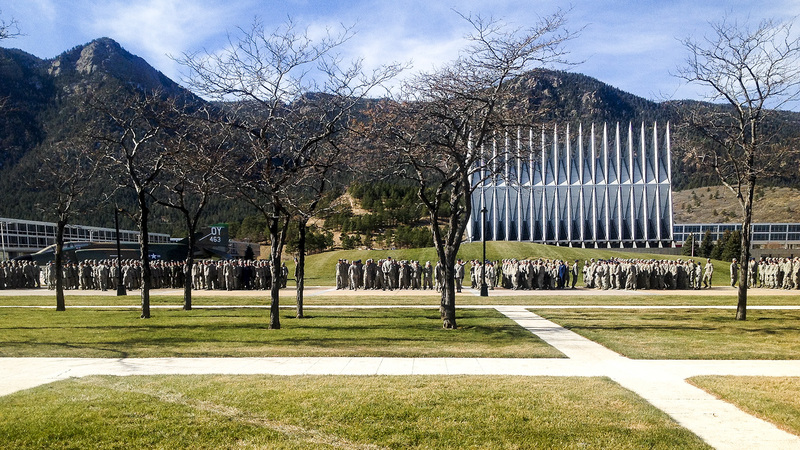 On the advice of Warren Manning, he never joined the American Society of Landscape Architects. Daniel Urban Kiley was born in Roxbury Highlands in Boston, Massachusetts, in 1912. He grew up and attended public schools, graduating high school in 1930. Kiley credits the beginning of his interest in the out-of-doors and nature to a series of vacation visits to his grandmother's farm in New Hampshire and to a job caddying at the Charles River Country Club in Boston. In 1932 he began a four-year apprenticeship with Warren Manning, who had offices in Harvard Square in Cambridge, Massachusetts. There he learned the rudiments of office practice and procedure, drafting, and some design, and he was exposed to Manning's great interest in plants in design. Because he was outgoing and quick-witted, he was often assigned to the supervision of construction and selection of plant materials from nurseries as well as transplantation from various site locations. He loved these outdoor assignments, and the experience became an important element of his long practice. Over the years, Kiley, who is noted for his vigorous and creative plant selections and for adventurous plant choices, often searched out available plants even before beginning his design. His interest in extending the planting possibilities in use and location is at the heart of his design innovation. Planting was the first important element that would affect his professional work. In 1936 Kiley entered the landscape architectural program at Harvard University. Harvard at that time was undergoing a revolutionary curriculum change in the architecture department with the arrival of Walter Gropius and his lieutenants from the Bauhaus in Germany. The landscape department, however, was less driven by an interest in modernism than by the study of estate gardens, the Beaux Arts traditions and faculty advocacies of naturalism versus formalism. Kiley and his classmates Garrett Eckbo and James Rose, while accepting the earlier ideas of the Olmsteds, were extremely interested in the emerging European social, spatial, and artistic interests. The three classmates were involved in a series of confrontations, both in design and theory, in which they attempted to adapt, without the aid of Gropius, the new architectural thinking to landscape design. Though not by nature a writer, Kiley led in the design innovations, leaving the polemics to Rose and Eckbo. Their joint efforts can be read in three articles published in Architectural Record in 1939 and 1940. This interest in the new modernism became the second major element in Kiley's work. Kiley left Harvard in 1938, without graduating. He worked briefly for the National Park Service in Concord, New Hampshire, and then in Washington, DC, at the United States Public Housing Authority under Elbert Peets. There he met the young architect Louis Kahn. 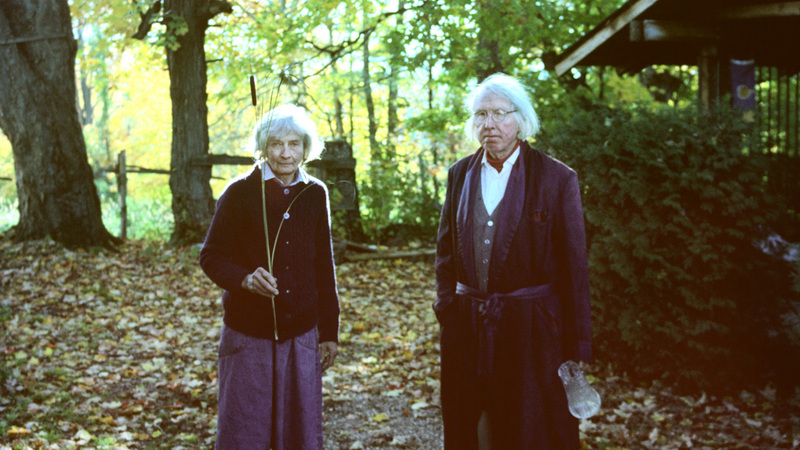 In 1942 he married Anne Lathrop Sturges and opened his own office in Franconia, New Hampshire. 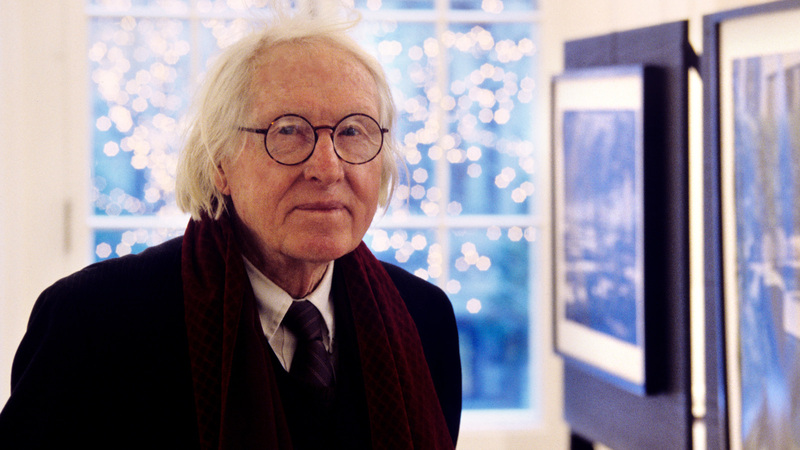 He was licensed to practice architecture in New Hampshire in 1943 with a recommendation from his friend, Louis Kahn. 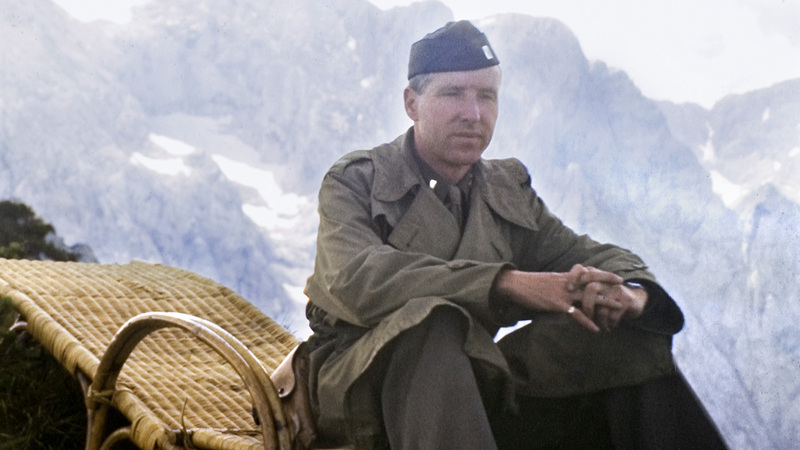 From 1943 to 1945, Kiley served in the U.S. Army. Due to his design background, he was assigned to the presentations branch of the Corps of Engineers in the Office of Strategic Services, where he became director of the design staff. At the end of the war in Europe, Kiley was assigned the task of laying out the courtroom for the war crimes trials at Nuremberg. While in Europe, Kiley first visited the German countryside and the great French gardens of Le Notre and others. The European landscape and these gigantic formal works left a strong impression on the young Kiley and were perhaps the third informing element in his career. Kiley had absorbed the work of the Olmsteds and the early ecological planning of Manning, but after his return to the United States, his professional contacts, particularly with the first generation of American modern architects, such as Eero Saarinen, I.M. Pei, Louis Kahn, and Gordon Bunshaft of Skidmore Owings and Merrill (SOM), provided not only professional opportunities but shaped his modern design direction as well. 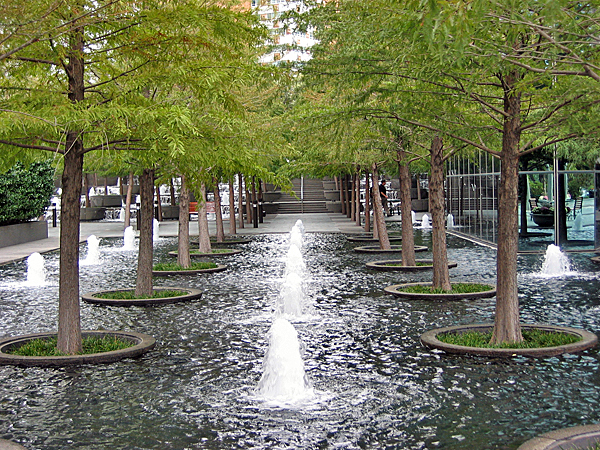 As the postwar American built environment exploded in the 1950s, Kiley found himself one of the few practitioners of modern landscape architecture, particularly on the East Coast and in the Midwest. After a beginning in residential and housing design and a brief trip to the West Coast to visit his friend Eckbo and see the work of Thomas Church and the developing group of California modernists, he chose to continue his practice first in New Hampshire and later in Vermont. He chose these locations in part because of his love of skiing and hiking. He and his wife Anne supplemented his design income as ski instructors during his early years of practice. In the next few years a series of important projects came into Kiley's office through his association with Saarinen and the other modern architects. 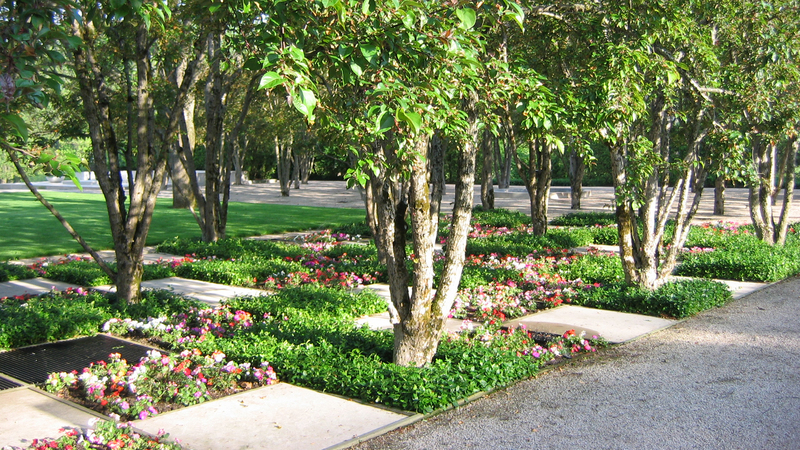 In 1947 he was on the winning team with Eero Saarinen for the Jefferson National Expansion Memorial Competition, known as the St. Louis Arch, and in 1955, again with Saarinen, he designed the garden for J. Irwin Miller's family in Columbus, Indiana, perhaps the most important postwar garden in the United States. In 1963 he designed the gigantic approach gardens for Saarinen's Dulles Airport outside Washington, DC. In 1968 Kiley with Walter Netch of SOM designed the gardens for the new Air Force Academy in Colorado Springs, Colorado, followed in 1969 with the remarkable roof-top gardens at the Oakland (California) Museum with Kevin Roche, Saarinen's surviving partner. 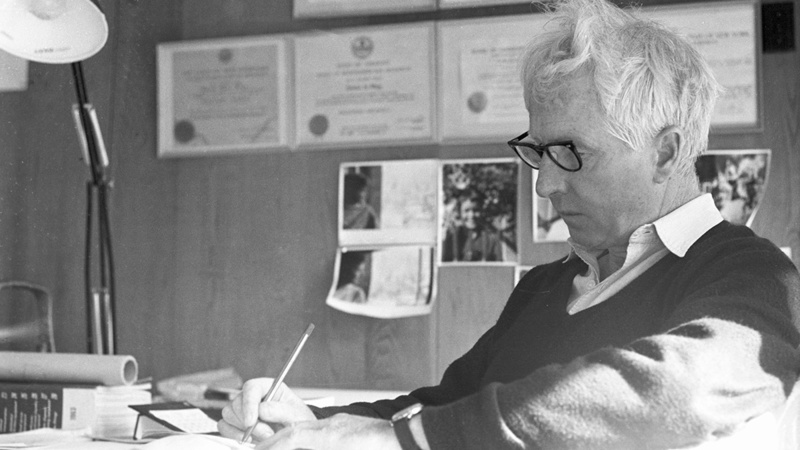 Working with Myron Goldsmith of SOM, and later with Paul Kennon of CRS, Kiley produced a series of urban plans for Columbus, Indiana, followed by dozens of specific public and private projects within and just outside the small city. 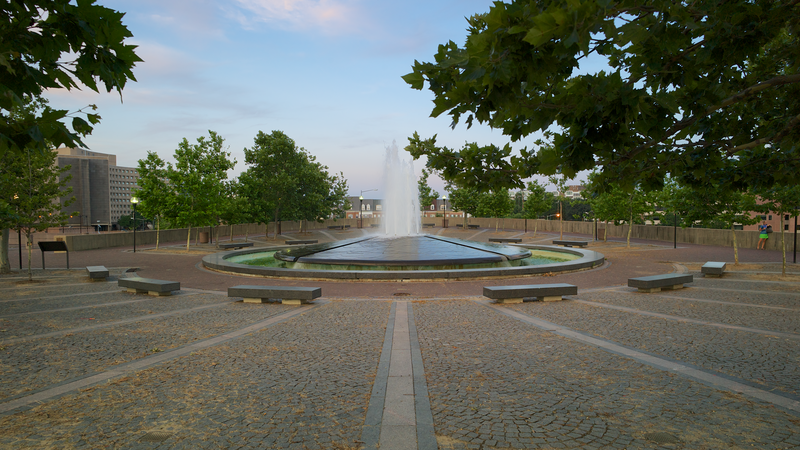 Like other postwar landscape architects, Kiley has many important works that were not properly built or maintained. 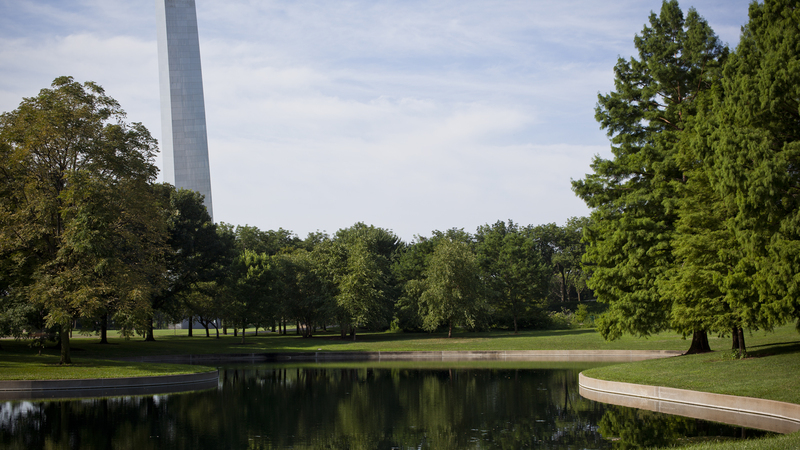 We will never know how the St. Louis Arch Park might have looked had it been developed according to his design. Nevertheless, a number of Kiley's projects remain today. 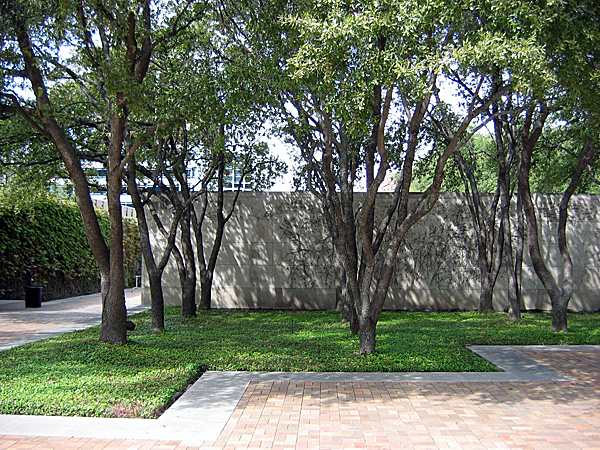 These include his modern masterpiece, the Miller Garden; the Dallas Museum of Art Sculpture Garden with Edward Larrabee Barnes in 1983; and the 1985 Fountain Place in Dallas, Texas, designed with Harry Cobb of Pei Cobb Freed. 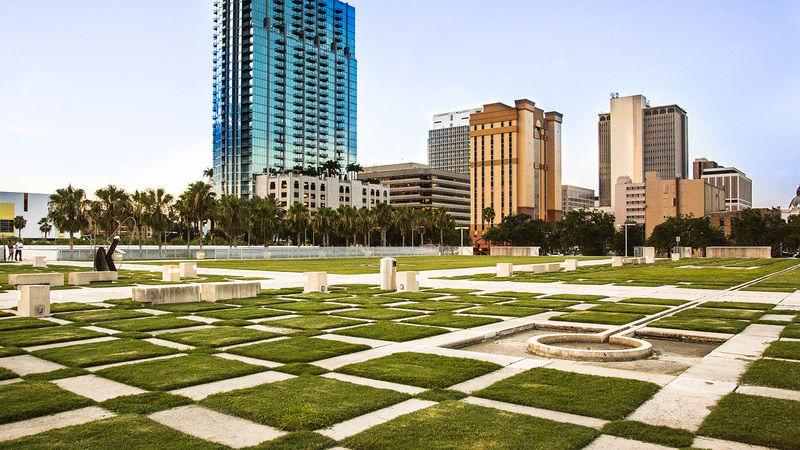 In 1988, Kiley designed both the complex Nations Bank Plaza in Tampa, Florida, with Harry Wolf, and the elegant Henry Moore Sculpture Garden at the Nelson-Atkins Museum of Art in Kansas City, Missouri. Unlike many of his contemporaries Kiley has never written nor taught. 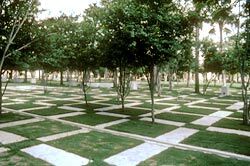 On the advice of Warren Manning, he never joined the American Society of Landscape Architects. Yet in his office he apprenticed such distinguished designers and teachers as Richard Haag, Peter Hornbeck, Peter Ker Walker, and Ian Tyndall. 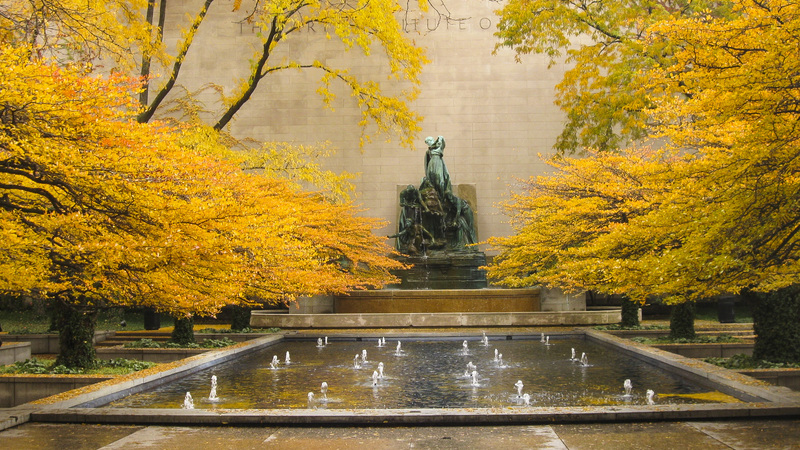 One can clearly see in Kiley's work both the monumental clarity of the French Baroque gardens and the influence of the classical constructivist and spatial elements in the early postwar works of his colleagues, the new generation of American architects. 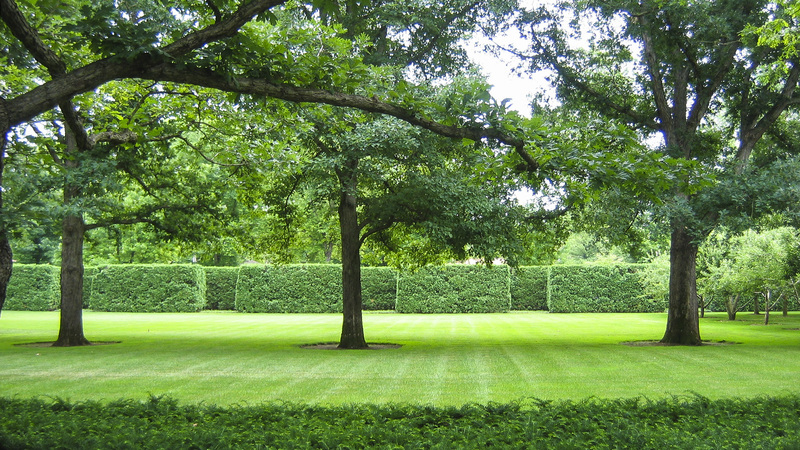 His gardens use hedges and walls in a clearly Meisian manner, and his grids of trees perhaps owe more to the columnar grid of contemporary architecture than to Le Notre. 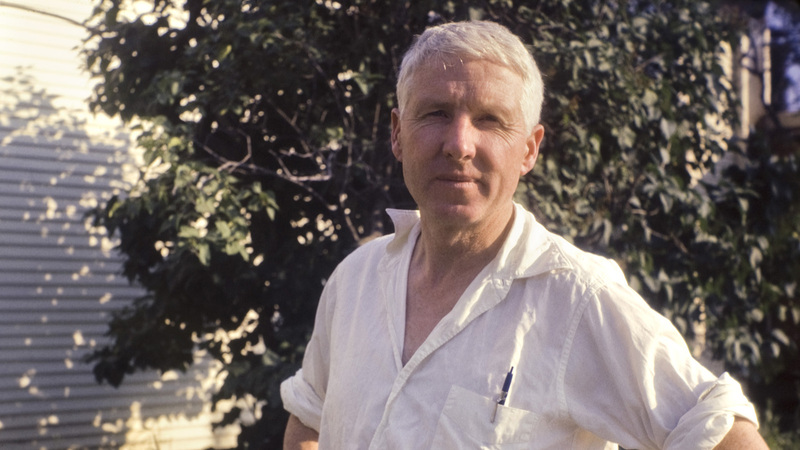 Although generally remote and rarely published in the 1960s and 1970s, he was considered by knowledgeable landscape architects to have led the way in postwar American landscape design, along with Thomas Church, Lawrence Halprin, and Garrett Eckbo.